Huw Thomas will step down as chief executive officer of SmartCentres REIT (SRU-UN-T) in June at the end of his five-year contract, the trust announced Wednesday afternoon. 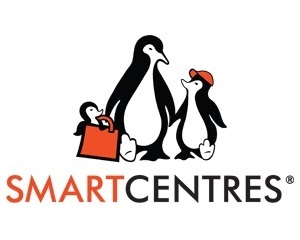 The announcement was made as SmartCentres released its year-end earnings report. A release announcing the move says Thomas will be replaced by Peter Forde, the REIT’s current president and chief operating officer. However, the structure at the top of the trust will change. Mitchell Goldhar, the trust’s current non-executive chairman and largest shareholder, will become executive chairman and “in that role will increase his already significant involvement in all aspects of the trust’s business, including strategy, development, intensification initiatives, leasing and finance,” the release says. Thomas will remain as a member of SmartCentres’ Board of Trustees. “This leadership transition is a logical step as the Trust focuses more on development and intensification opportunities on virtually its entire shopping centre portfolio,” the release says. “On behalf of the board of Trustees and other unitholders, I want to thank Huw for his significant contribution to our business over the last five years during which we worked together in starting the transformation of the trust from an owner/landlord of a portfolio of retail real estate to a fully integrated owner with an emerging suite of exceptional mixed-use properties and an extensive development pipeline,” said Goldhar in the release. Prior to moving into the CEO role at SmartCentres in March 2013, Thomas served in various senior financial roles at Canadian Tire Corporation (CTC-T), including nine years as chief financial officer from 2000 to 2009. From November 2009 until December 2010 he was Canadian Tire’s executive vice-president of financial strategy and performance. According to his biography on the SmartCentres website, Thomas is also a member of the board of directors of Dollarama Inc. (DOL-T); Chartwell Retirement Residences (CSH-UN-T ); and chairs the audit committee of K. P. Tissue Inc. He is a fellow of the Ontario Institute of Chartered Accountants.